A friend has several very large rhubarb plants. When she offered some fresh rhubarb we jumped at the opportunity. We are so excited to have some fresh rhubarb in the house we are having a difficult time deciding what to do with it. We went through several options, the usual strawberry-rhubarb crisp or strawberry rhubarb pie, the unusual rhubarb slush or muffin. We went with more baked goods this time, cake. We may love cake at our house and it never lasts long. 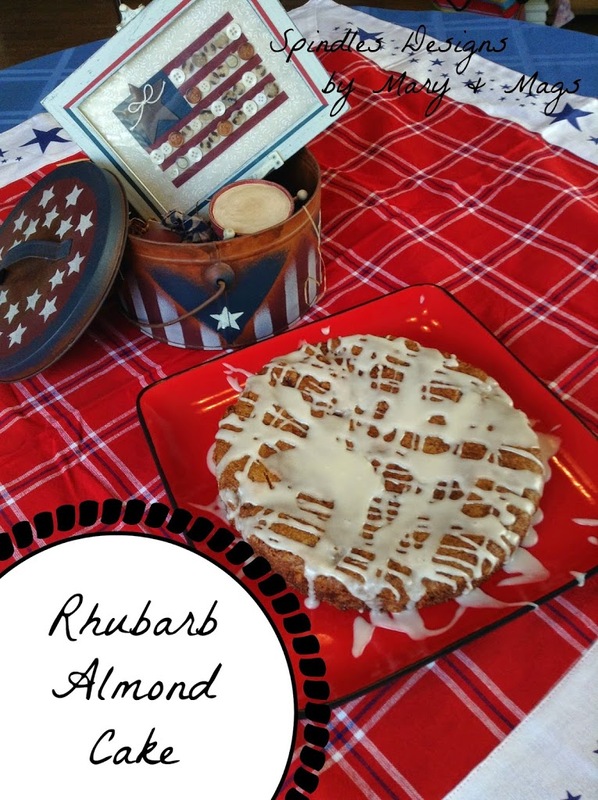 My husband was introduced to Rhubarb while he served his mission in Canada. He introduced me to it when we were first married, and well that is one relationship that has flourished. I am so excited to have a stash of rhubarb to play with as the summer goes on, it should be fun! 1. Line the bottom of two 9 inch round pans with parchment paper and preheat the oven to 350 degrees. 3. In a separate bowl mix flour, salt, baking soda, baking powder, cinnamon, and xanthan together. Add to the sugar mixture alternating with the milk. 4. 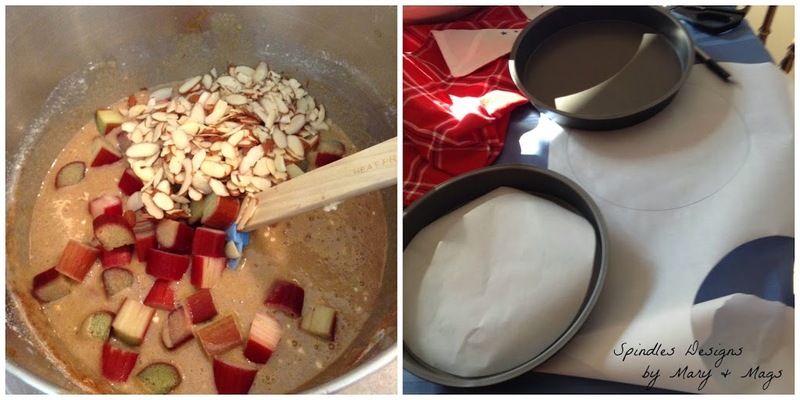 Mix in the rhubarb and sliced almonds with a spoon or spatula. Split the batter into the two prepared pans. 5. Bake for 30 to 35 minutes. Let cool in pan for 10 minutes then remove from pan to cool completely. 6. Drizzle with favorite frosting. 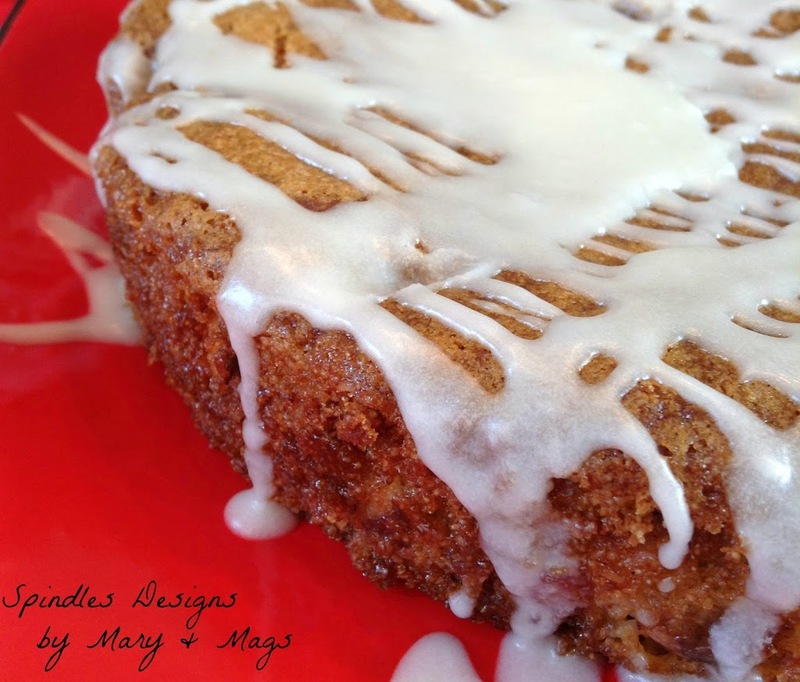 Thanks for stopping by and sharing the recipe. Oh, I would so love a rhubarb plant but I have no room…..that get so big! I have to rely on roadside stands or the public market to get some…it is too expensive in the grocery store. When I get it I usually do the usual pie or crisp. Thank you for something different! I think the season for rhubarb is almost over here but I am going to try and find some to make this. Pinned! I understand the no room issue, mine is just where to put it in the space I have. I agree that it is way to expensive at the grocery store! It’s a good thing it freezes well, that is how we enjoy rhubarb even out of season. 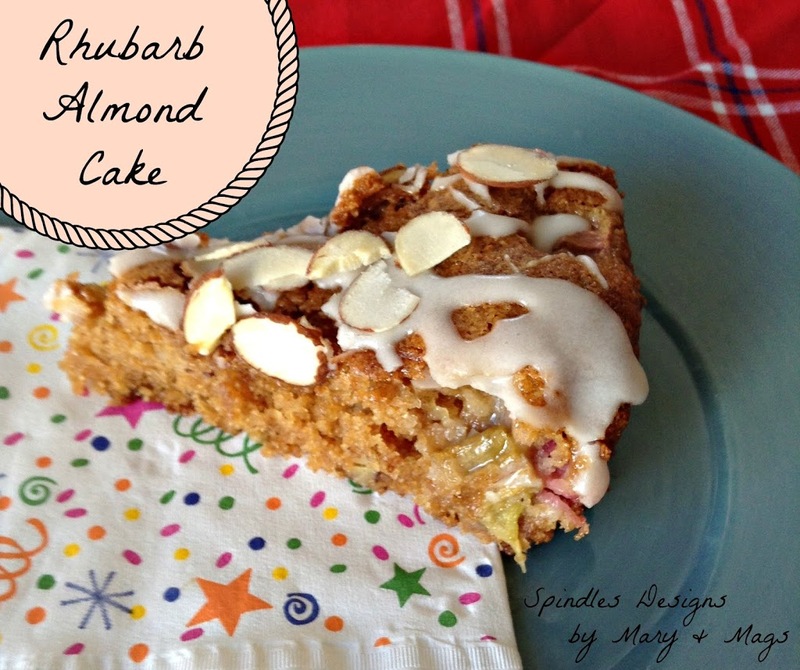 I hope you find some rhubarb and enjoy this great cake!